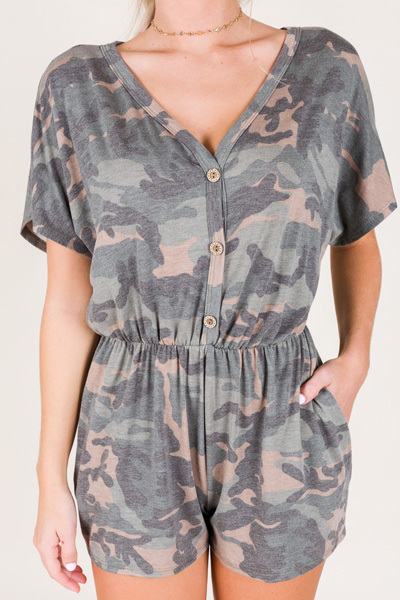 Cute little camo romper in a comfy knit fabric! An elastic waist, button front, and V neckline to keep it flattering, plus it has pockets!! Fabric is a a stretchy poly/rayon blend.